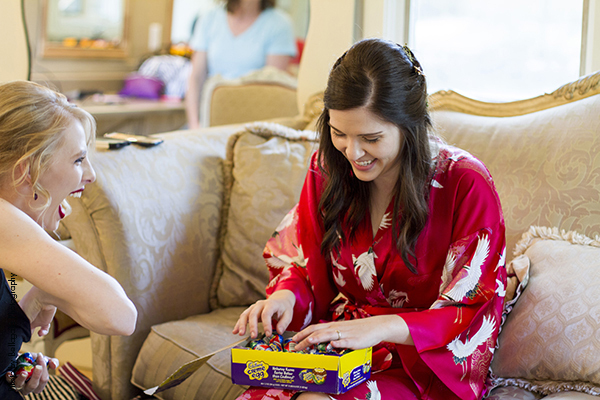 Lauren and Josh first met in preschool and were in the backgrounds of each other’s lives for years! They were involved in everything together, from birthday parties, school dances and the everyday social activities that consume the lives of so many kids. Even though their parents, friends, teachers, classmates (and basically everyone else in existence) predicted the two would end up together, it wasn’t until high school that they decided to give their relationship a try. 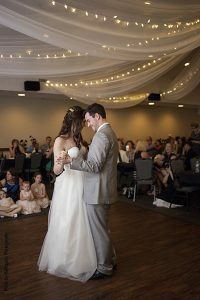 Lauren and Josh share many of the same interests, such as fantasy and fiction movies, but they also have unique interests and hobbies of their own. Josh loves brewing and Lauren enjoys writing. 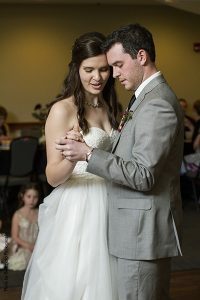 Although they don’t share these interests, they work in harmony and complement each other perfectly, Lauren is Josh’s brewery partner and Josh edits Lauren’s writing. 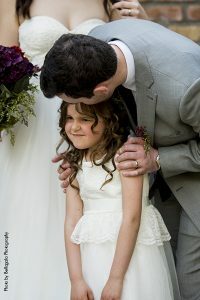 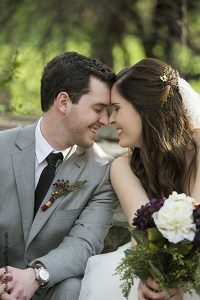 They have been together for 8 years and are very different from the two toddlers who first laid eyes on each other in pre-school, but they have changed and evolved together as a couple. 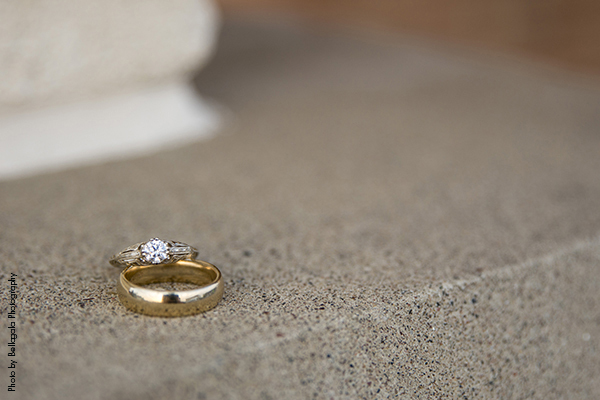 Josh popped the question during the couples last semester at the University of Minnesota. 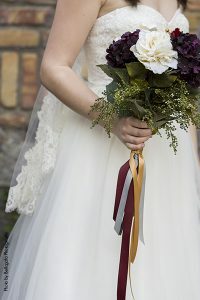 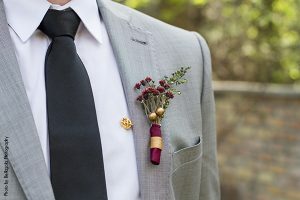 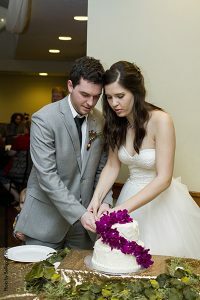 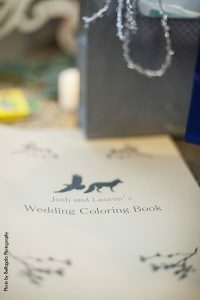 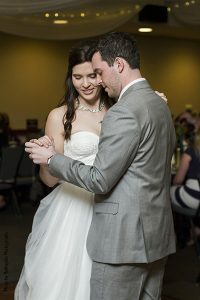 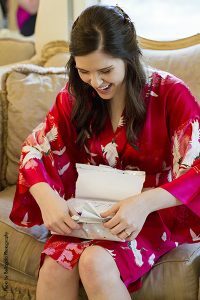 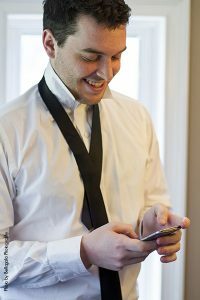 At the time both Lauren and Josh were neck-deep in exams, theses and graduation prep but as soon as the diplomas were in hand and caps were in the air, they jumped right into wedding planning. 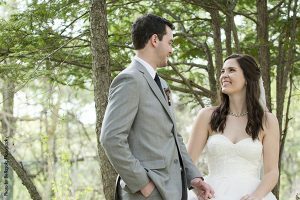 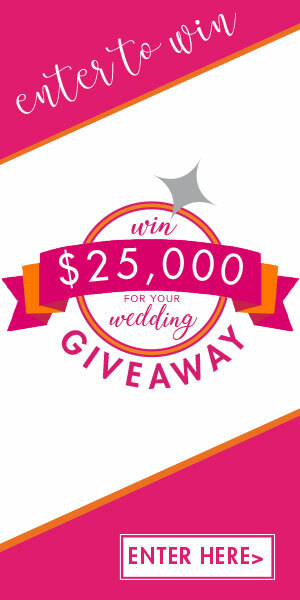 The couple spent over a year planning their big day and it all paid off on April 23rd, 2016. 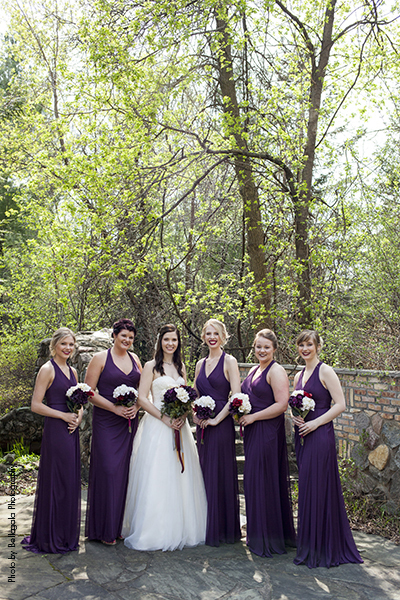 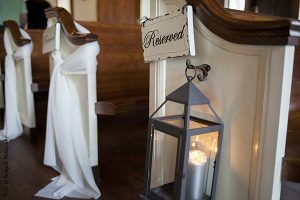 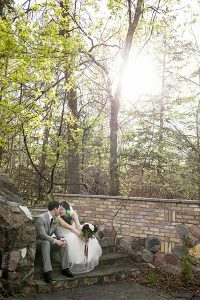 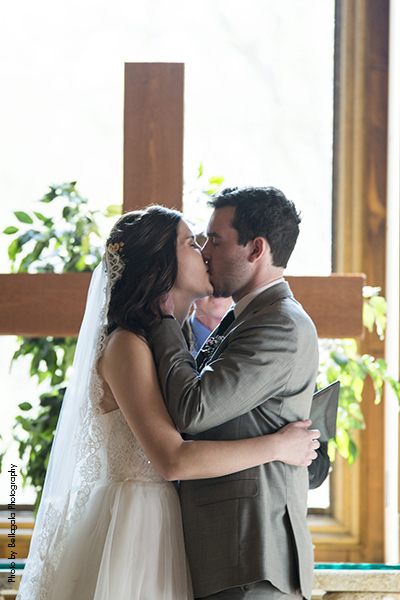 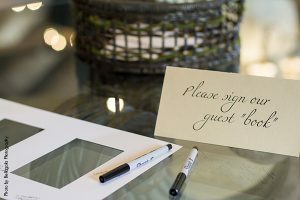 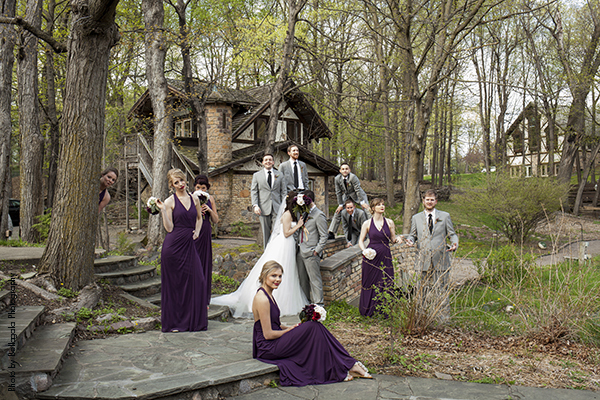 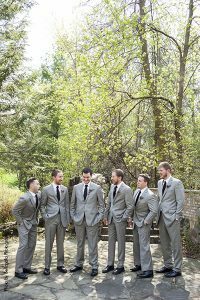 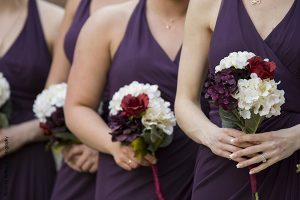 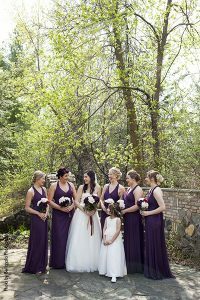 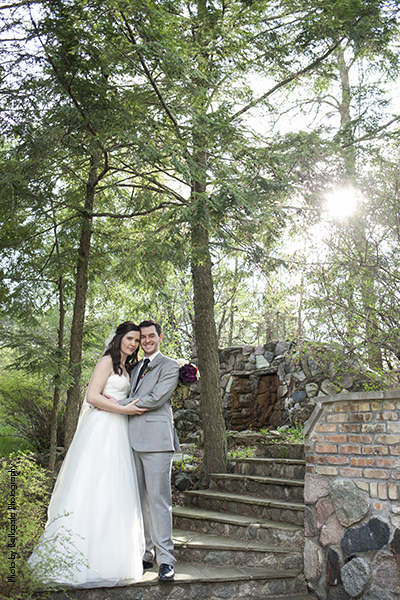 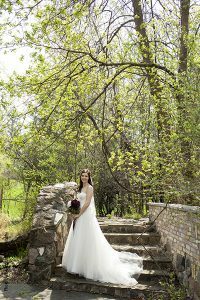 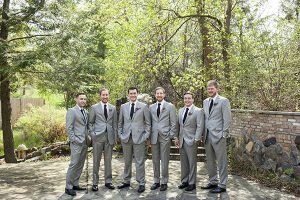 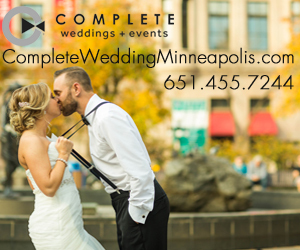 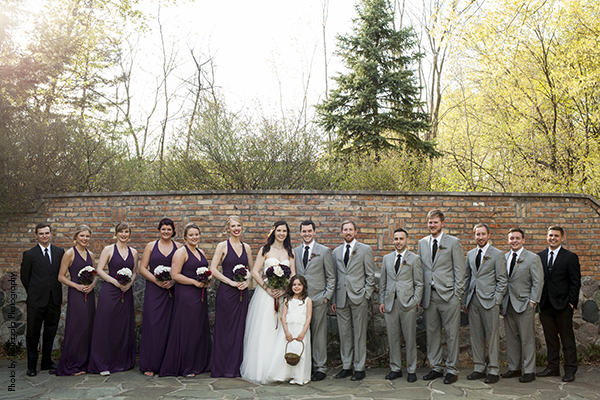 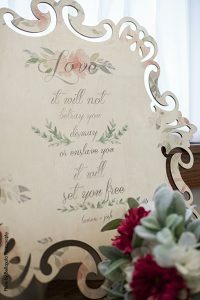 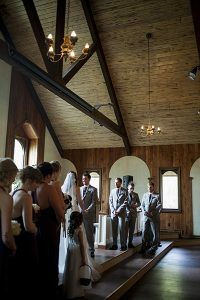 Lauren and Josh’s ceremony took place at the Woods Chapel in Long Lake, Minnesota and the reception was held at the Chanhassen American Legion. 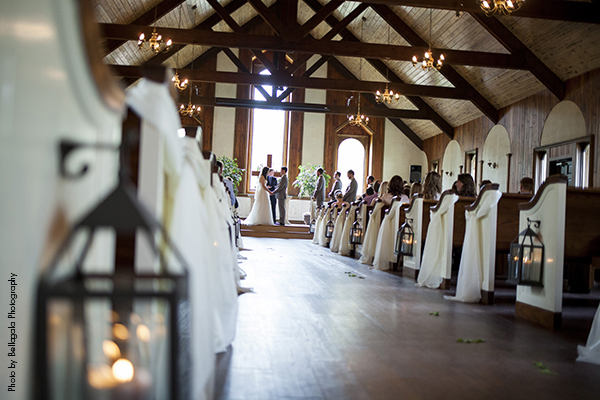 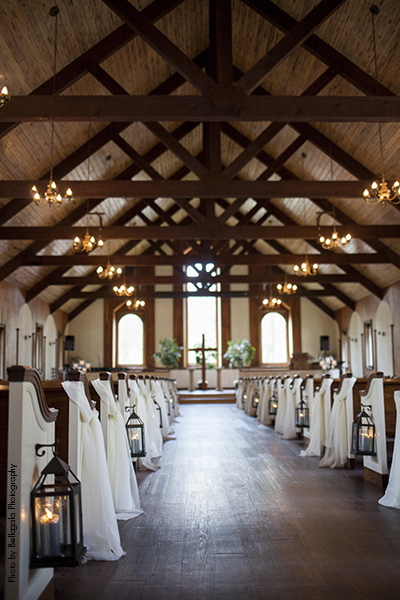 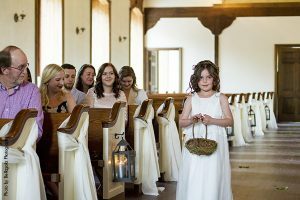 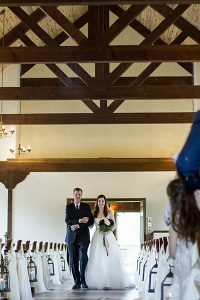 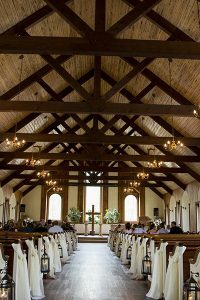 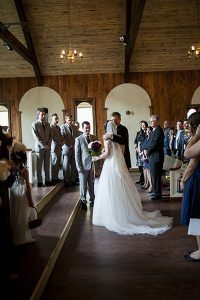 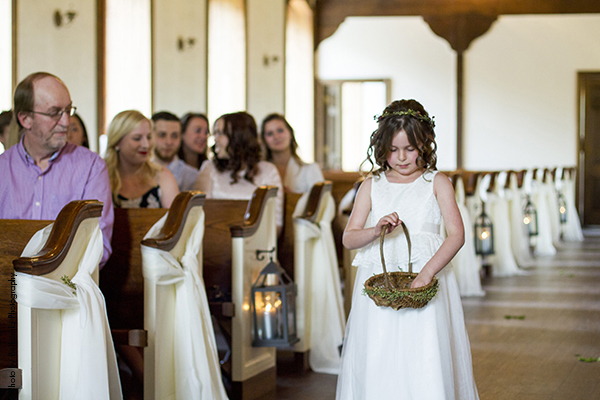 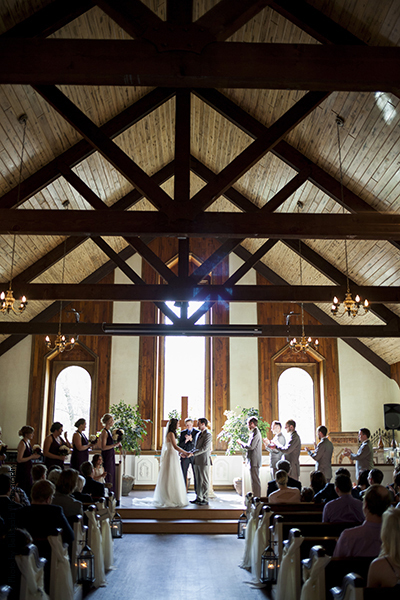 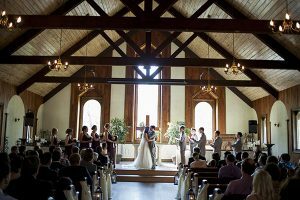 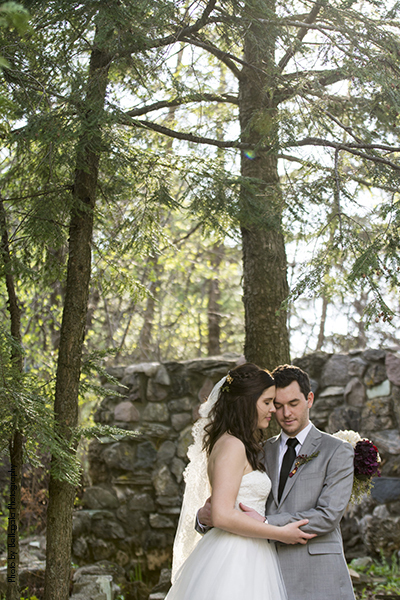 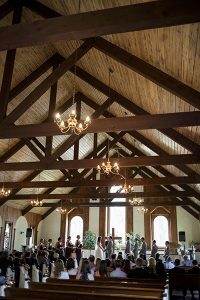 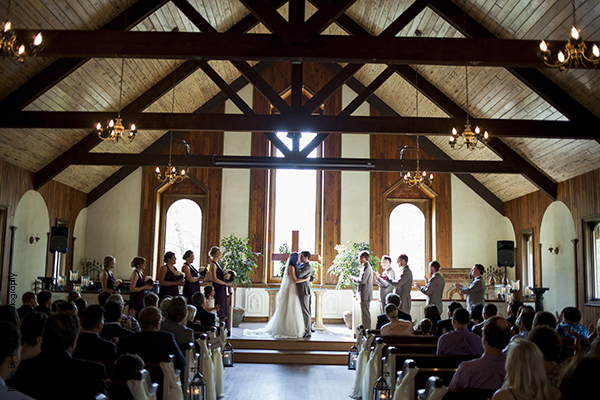 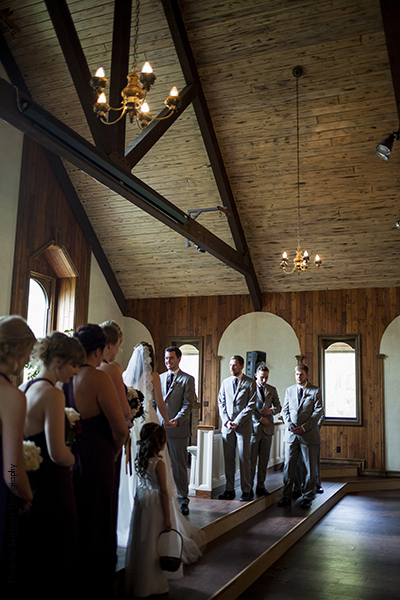 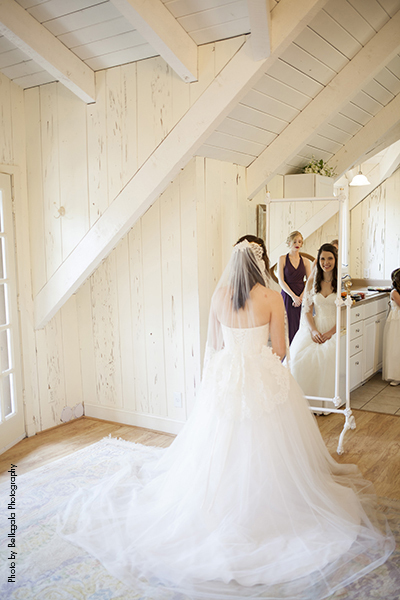 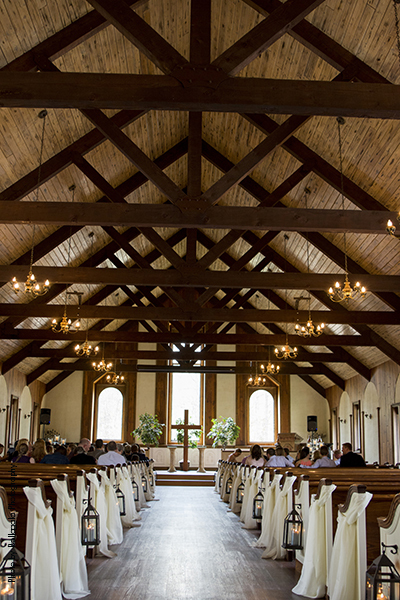 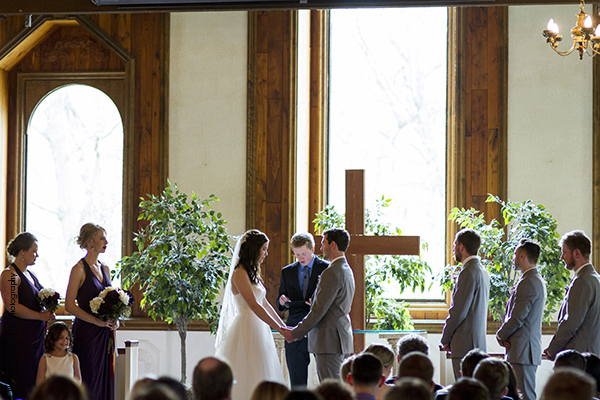 When Lauren discovered a photo of the Woods Chapel she fell in love with the thick wooden beams, towering windows and wooded backdrop. 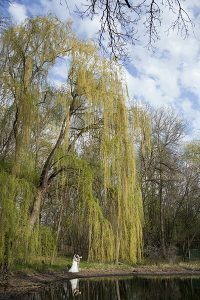 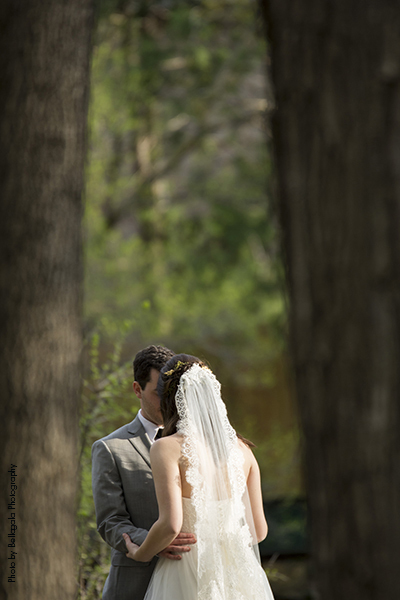 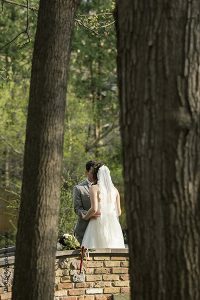 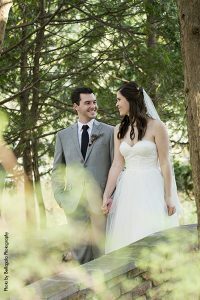 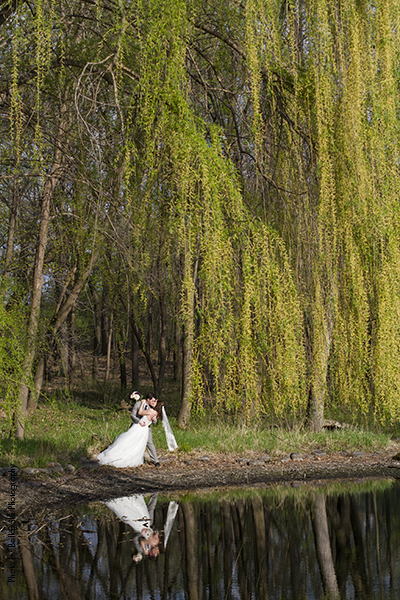 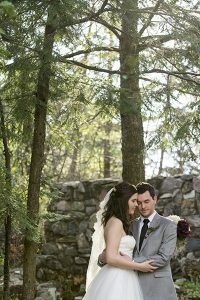 The trees, the pond and the secluded romantic feeling made for the perfect backdrop for their vows to take place. 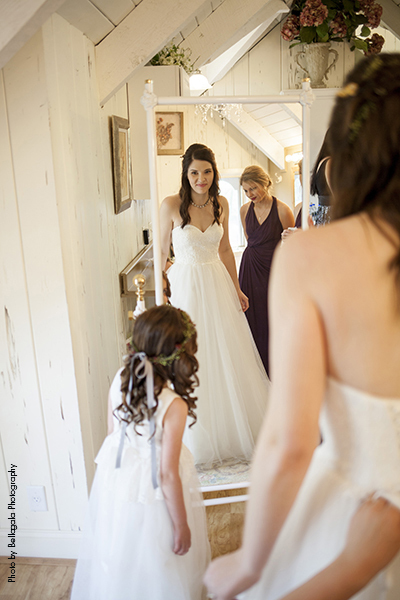 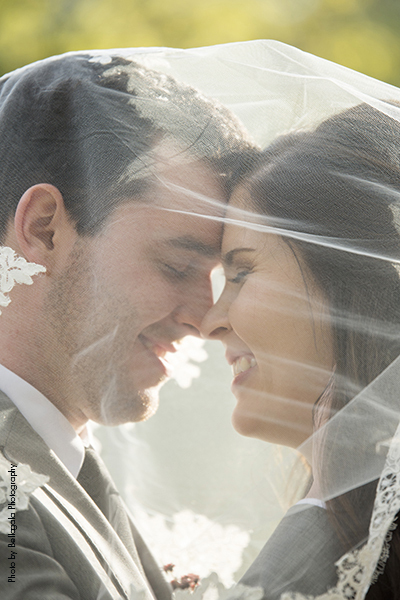 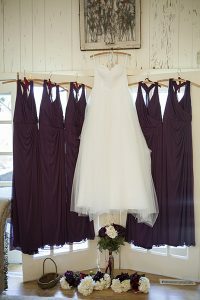 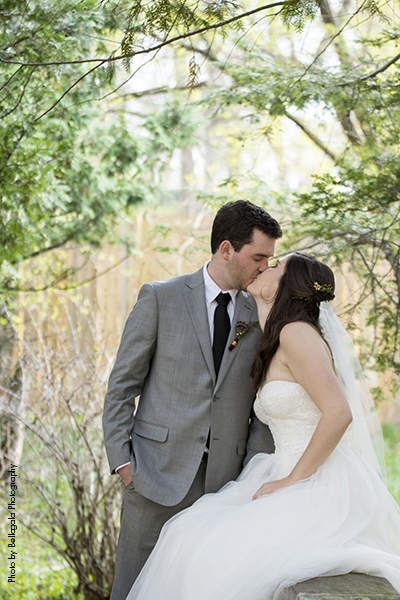 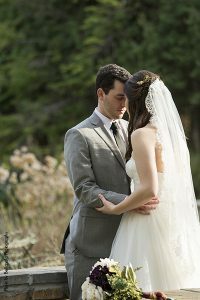 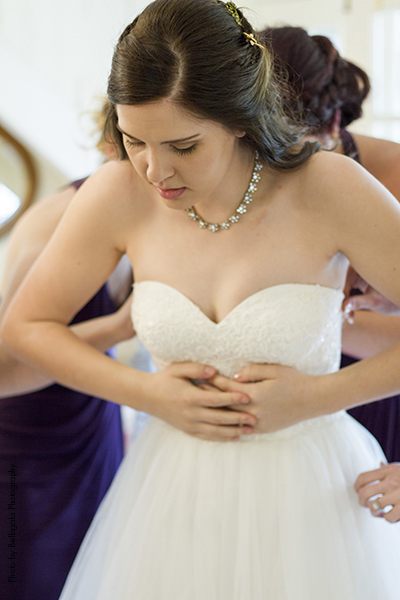 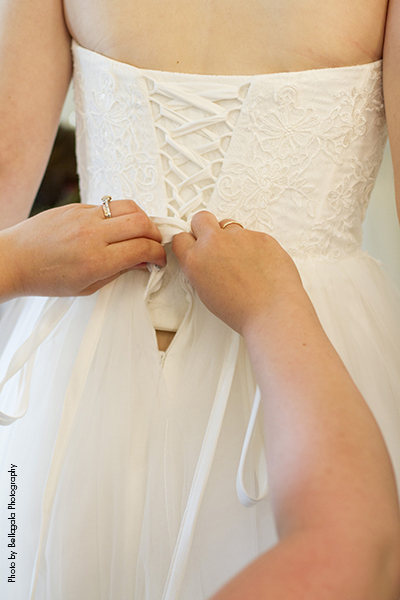 Every detail of Lauren and Josh’s wedding day was thoughtful and meaningful. 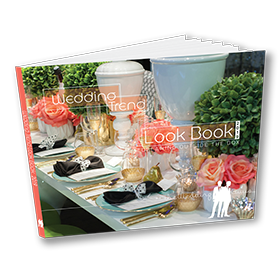 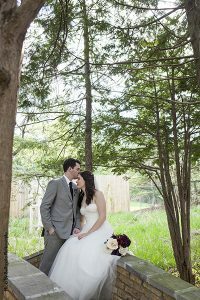 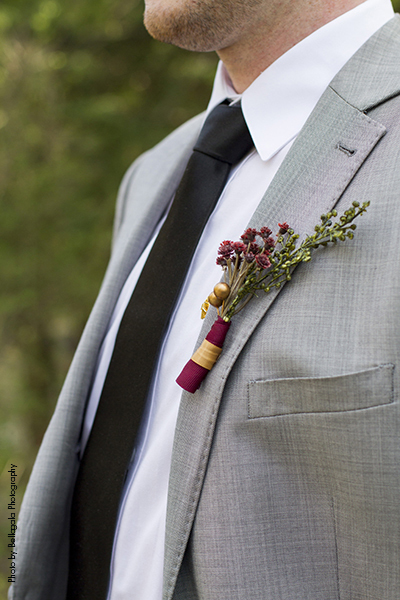 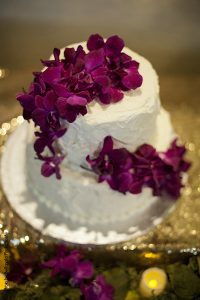 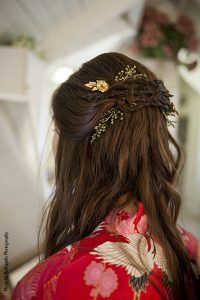 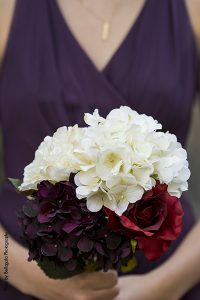 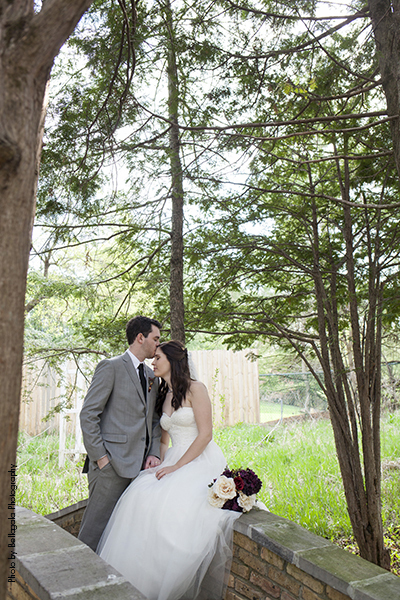 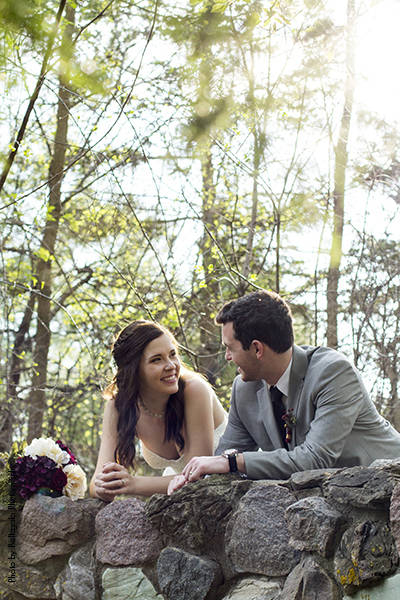 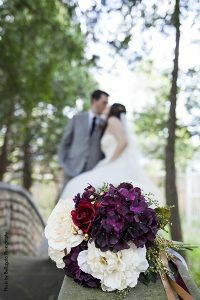 While the décor was nature themed, the day was truly inspired by the bride and groom. 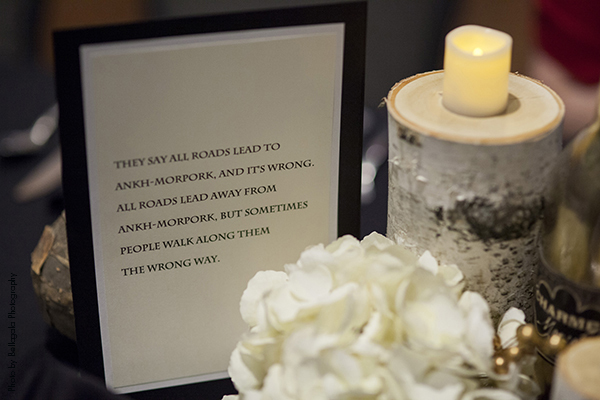 Because Lauren and Josh are both avid readers, each table was named after their favorite fictional settings. 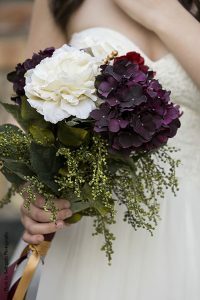 Every song they chose was tied to a specific memory, they even used their favorite colors, (Purple and green). 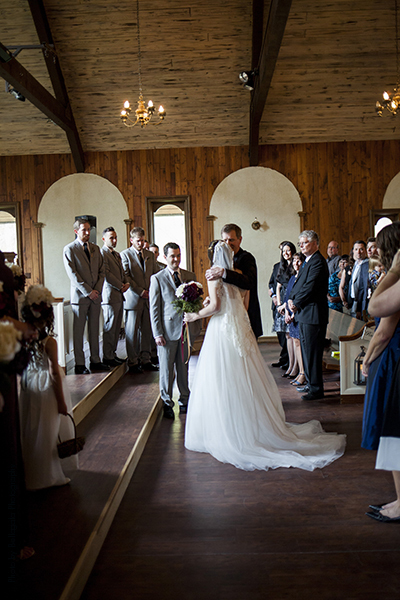 Nothing was “expected” everything was simply “Lauren and Josh”. 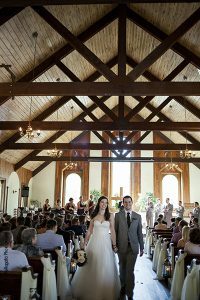 Lauren walked down the aisle in a light and delicate gown that featured a sweetheart neckline, layers of tulle, and dainty lace. 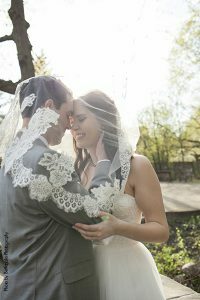 She finished her look with a veil that was inspired by the one her mother wore on her wedding day. 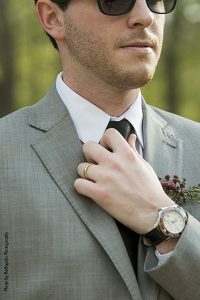 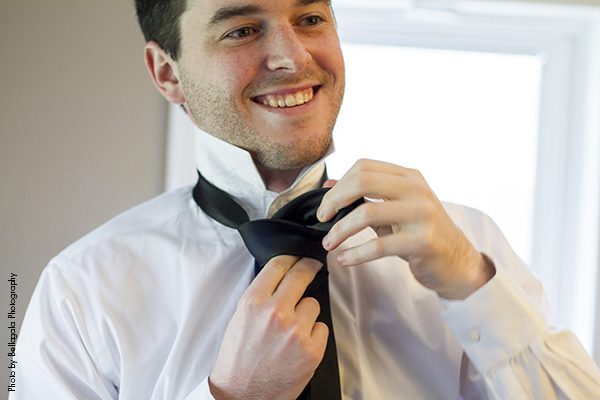 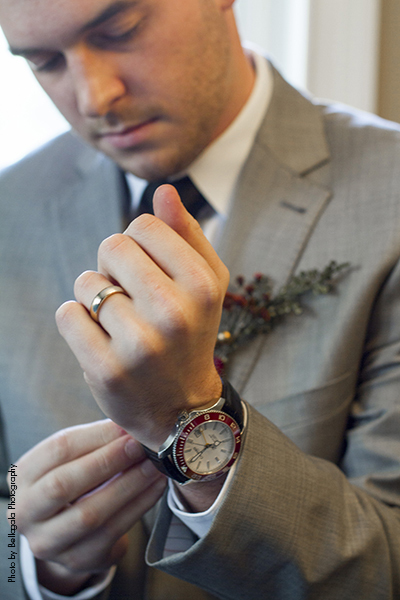 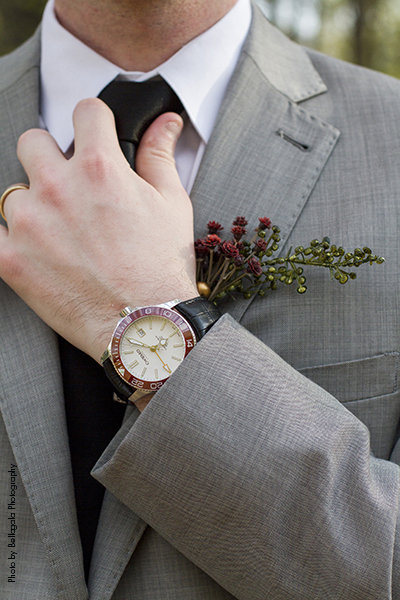 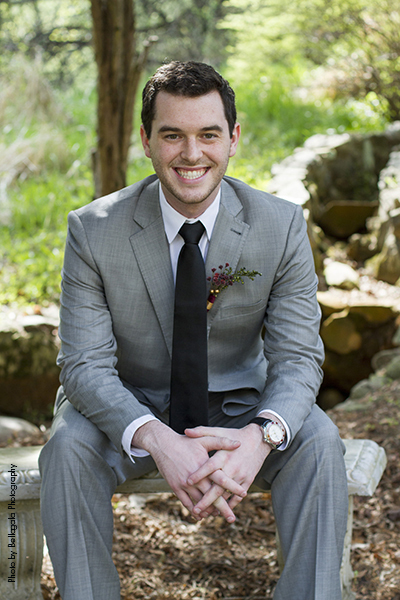 Josh kept his look simple and clean with a medium grey suit, white shirt, a black tie and a slick watch.